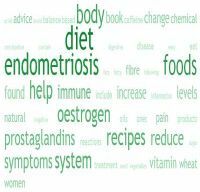 If you are concerned that your intake of calcium will be insufficient on the endometriosis diet by cutting out dairy products, there are many foods that contain plenty of calcium which will provide for your dietary needs. The daily recommended intake of calcium (depending on age) is between 500mg and 1000mg. Obtaining your daily recommended calcium from foods, other than dairy, is not difficult. Eating one cup of baked beans, four tablespoons of tahini and five figs will give you over 500mg of calcium. - 1 oz. of almonds provides 80mg of calcium. You can make almond milk from almonds to add to cereal or use in baking. You can add other flavorings if desired like fruit for an added sweetness. Almond milk will keep in the fridge for several days. - Among the veggies, turnip greens have the highest calcium source with 200mg per cup. Bok choy has 160mg and dandelion greens 140mg per cup. - Half a cup of cabbage provides the body with 190 mg of calcium. A cup of Broccoli contains about 180 mg of calcium. - Some fruits offering good calcium levels are figs, papaya and raisins. Oranges have the highest calcium content of any fruit with 52 mg of calcium in every half-cup. - Fish such as sardines, salmon, oysters, trout, prawns, and tuna are all high in calcium. There is a calcium content of around 325 mg in 3 oz of sardines. - Sesame seeds in particular are very high in calcium and are easy to add to your diet. They can be sprinkled over salads, added to casseroles, and cereals. - Tahini, which is a paste made from sesame seeds is very high in calcium with 2 tablespoons providing 130mg of calcium. - Tahini is delicious spread on various breads, as an addition to a sandwich (wheat free of course) or added to falafel or humus. Humus which is made from garbanzo beans (chickpeas) provides 60mg per half cup and makes a wonderful dip. .